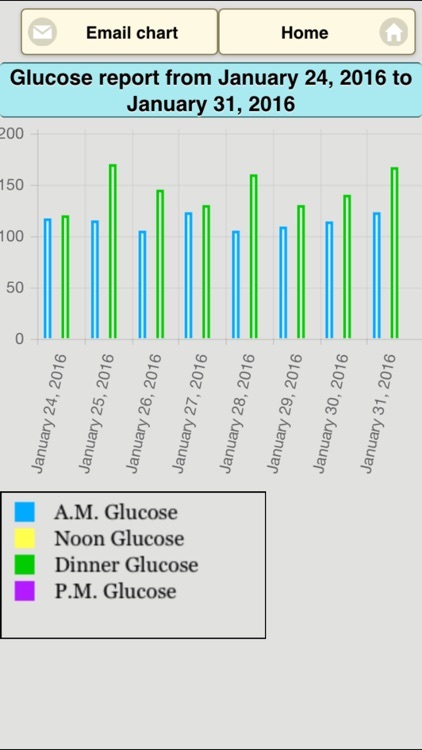 A great feature of this app is that you can create reports showing the effect of carbs, sugar, exercise and more on your daily glucose levels. 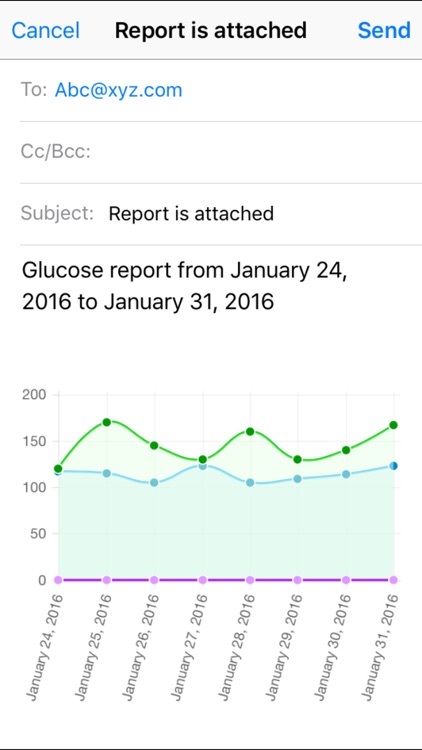 Even better, you can also create line or bar charts to instantly track your progress. 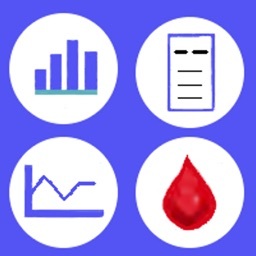 These reports and charts can be shown in PDF format and then emailed to yourself for saving and printing or emailed to your health professional. 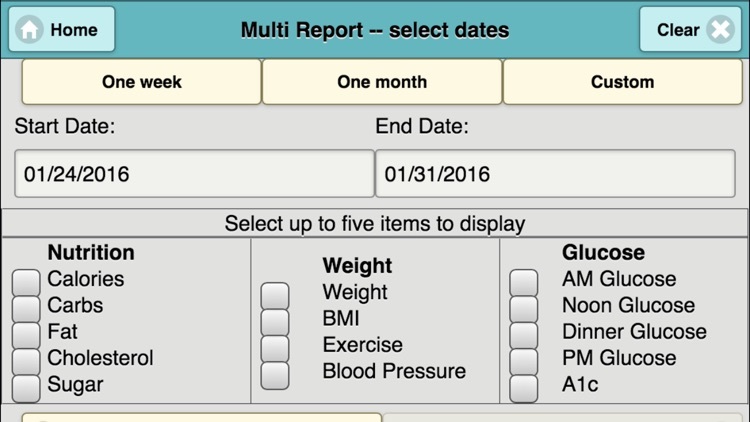 You and your doctor can instantly see your progress or identify problem areas. 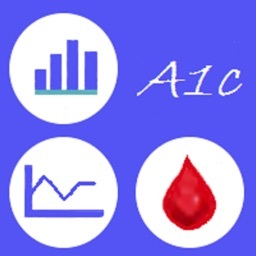 Reports and charts include glucose/A1c, medication, nutrition, and weight/BMI. 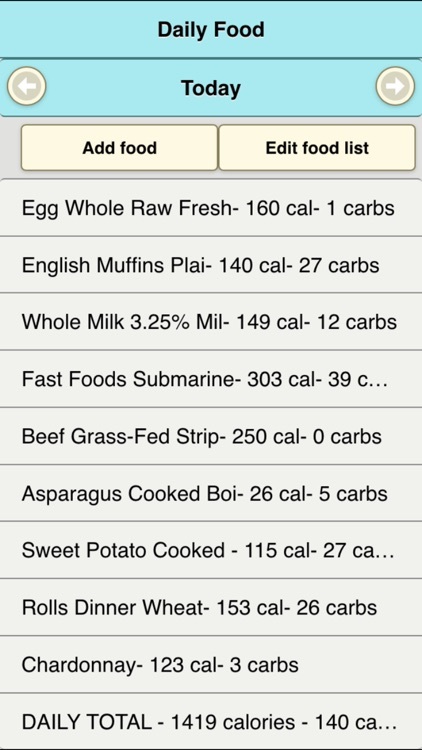 A powerful feature of the app is the “multiple” report or chart that allows you to select the items to include. 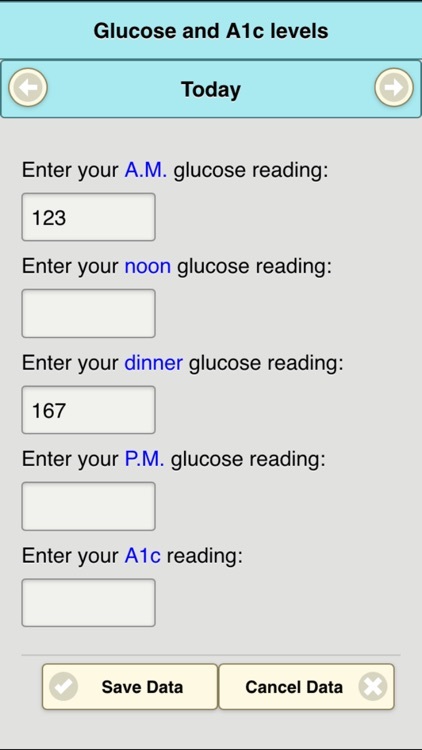 You can choose to track your morning glucose reading along with the number of carbs ingested, for example. 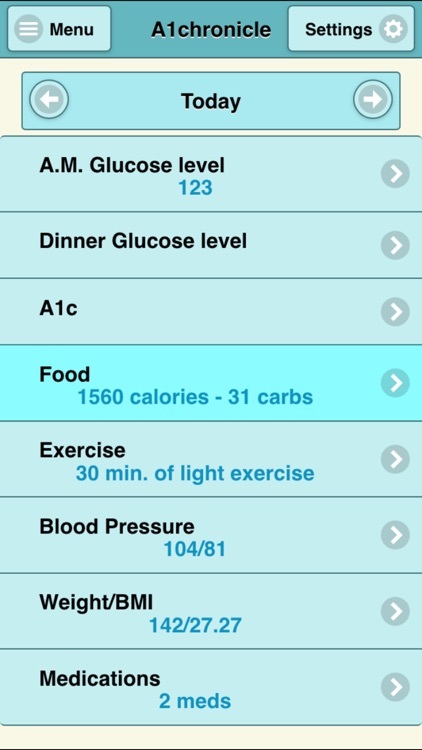 Or your blood pressure reading along with the number of calories consumed each day. You customize the report to meet your needs, selecting up to five items to track. 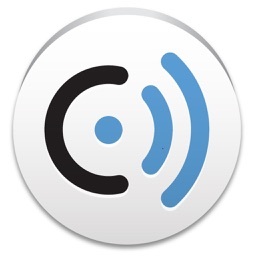 The home page can also be customized, allowing you to see only the items that you are tracking. 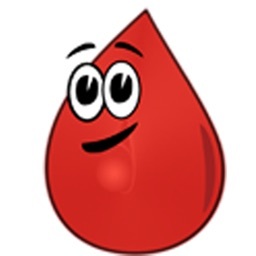 If an item is not shown on the home page, however, you can still track and report data for that item. A database is maintained within the app containing the nutritional values for more than 10,000 food items. 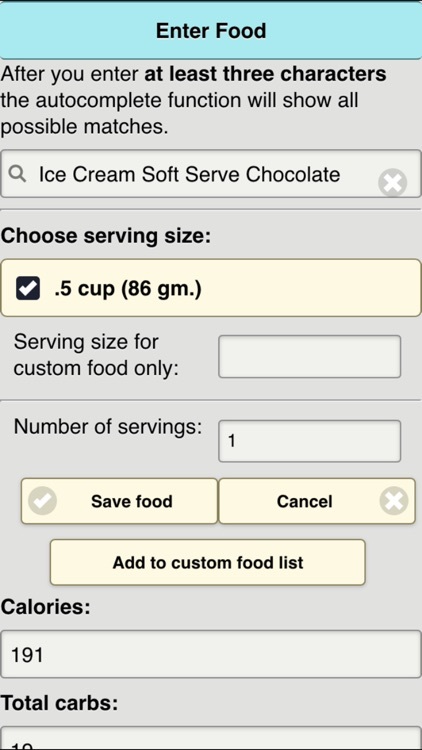 You also have the ability to add your own custom food items, which are maintained in a separate database for your private use. 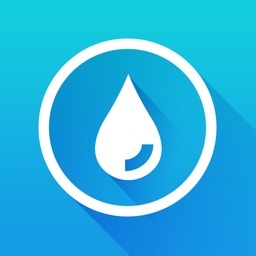 Please visit kairosdevco.com for more help tips for the A1chronicle app. Nutrition data was obtained from the US Department of Agriculture, release 28 of the USDA National Nutrient Database for Standard Reference. Data was also obtained from the websites of individual fast food restaurants.